Installing removable wallpaper is easier than I ever imagined. 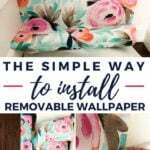 This simple tutorial will teach you everything you need to know so that you can install your favorite peel and stick wallpaper in no time. We've all been there. 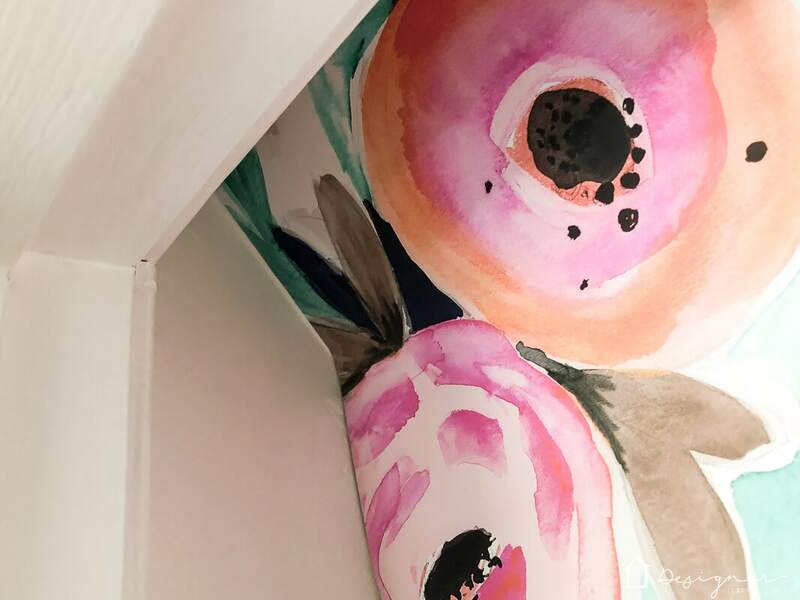 You are flipping through your favorite magazine or scrolling through Pinterest when all of a sudden you see the most gorgeous wallpaper you've ever seen. You want it. You want it badly. But then you remember how awful it is to remove wallpaper and you shut down the idea of installing wallpaper immediately. I know, because I used to do that. All. The. Time. 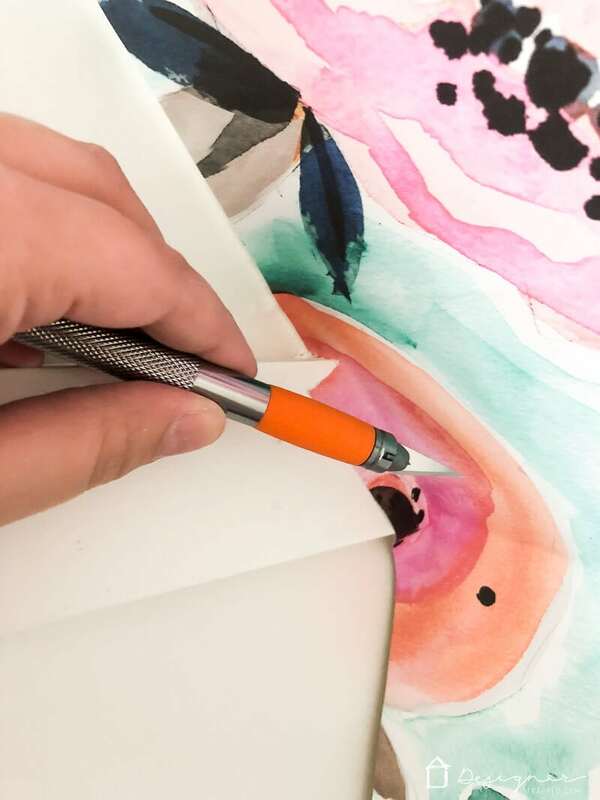 This post contains some affiliate links for your convenience (which means if you make a purchase after clicking a link I will earn a small commission but it won't cost you a penny more)! Click here to read my full disclosure policy. 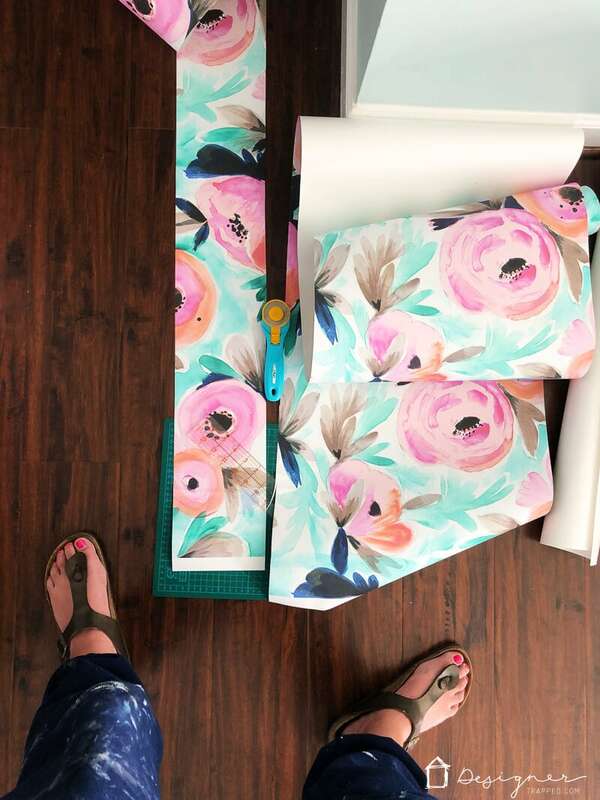 If you haven't shopped around for removable wallpaper yet, you are in for a pleasant surprise. 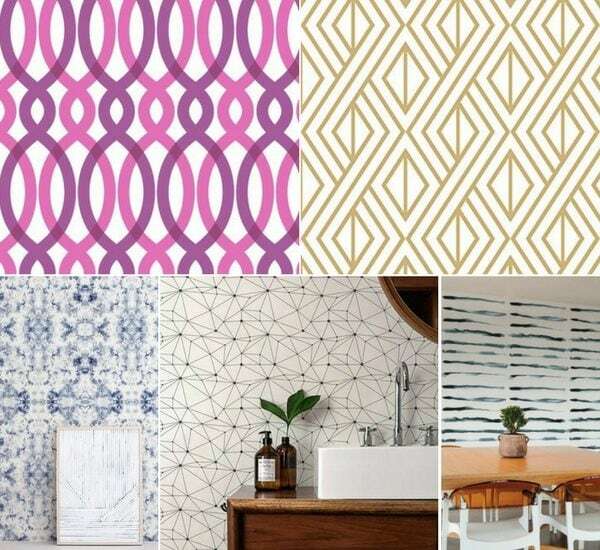 I've rounded up some of my favorite temporary wallpaper options below. Just click the arrow to scroll through them and click on any image for full product details. And you don't have to just put wallpaper on walls. 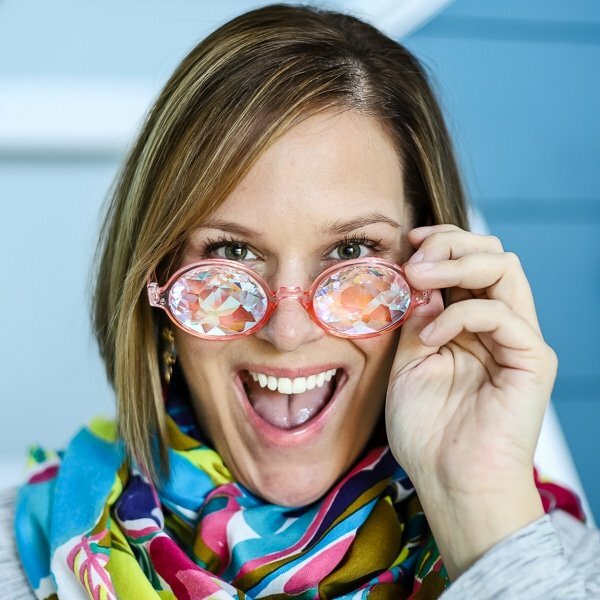 In this post, I shared some fun ideas for using wallpaper in other ways. Alright, let's dive into this tutorial. 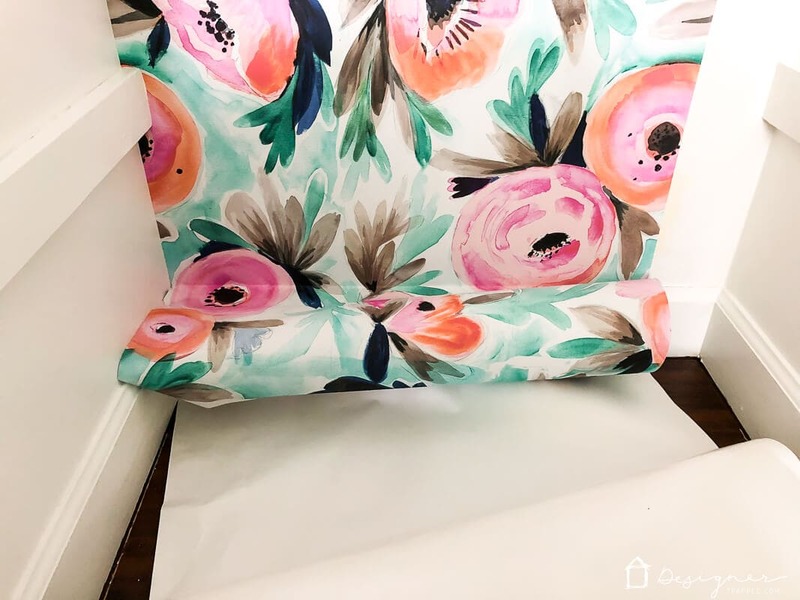 Generally, I would say that hanging wallpaper requires two people, BUT if you are installing your peel and stick wallpaper in a small area, you will probably be fine to tackle it solo. 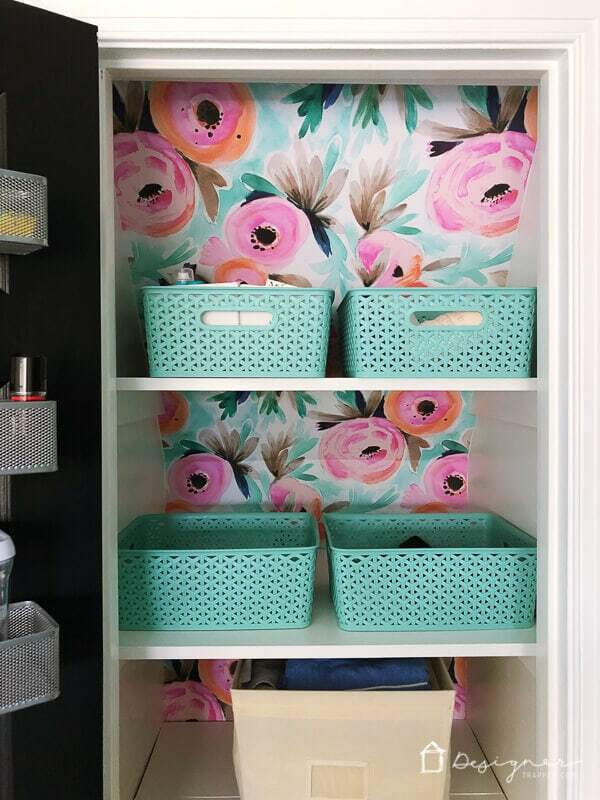 I installed my removable wallpaper in our linen closet and had no problem doing it all by myself. 1) Prepare your wall. The wall you are applying your peel and stick wallpaper to should be smooth, clean and dry. So if you need to patch anything, plan to do it the day before you want to wallpaper. 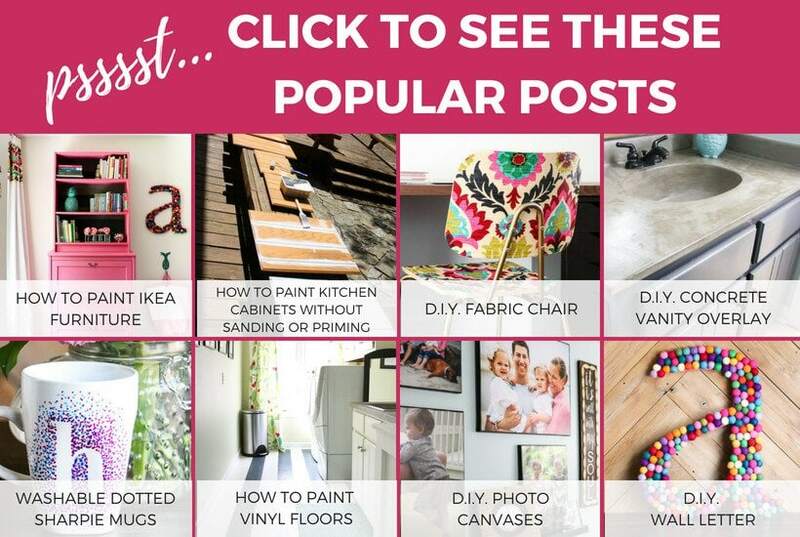 You can check out this post for my wall patching tips. 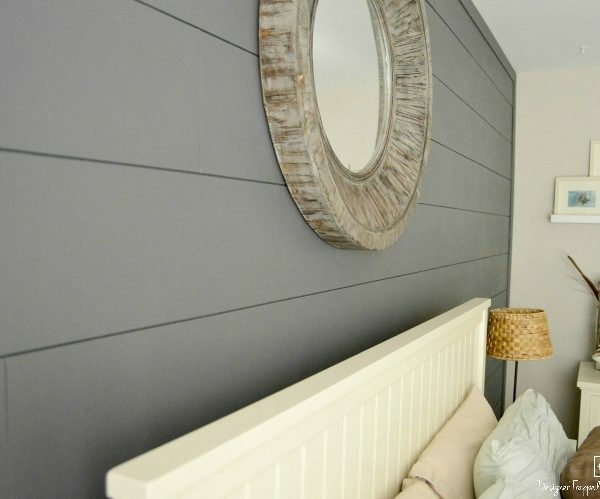 Also, if your wall is painted a very dark color, but your wallpaper is light, I would recommend priming the dark wall so that the darkness doesn't show through. If you do prime or paint first, be sure to allow your paint to fully cure before applying your wallpaper or it could wind up bubbling. Not good. This is what our linen closet looked like before I got started. 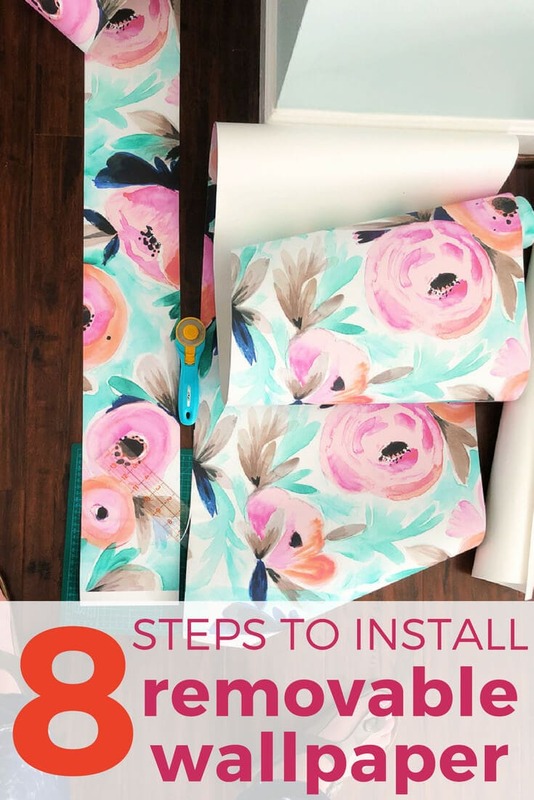 2) Prepare your removable wallpaper. 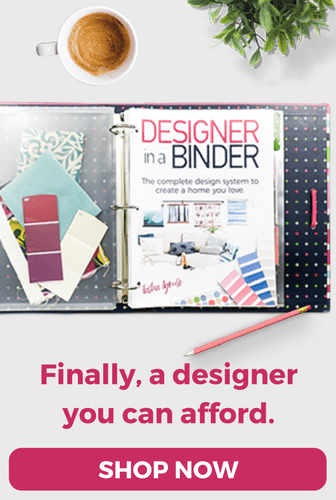 You will need to follow the specific instructions that come with your paper since it will vary by company. 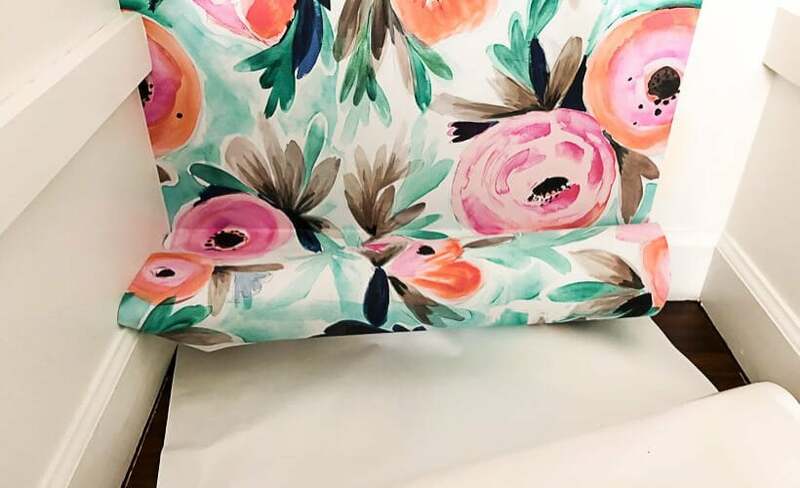 If your order from Spoonflower like I did, you will need to re-roll your wallpaper so that the top is on the outside of the roll. 3) Mark a plumb vertical line on your wall using your level. You cannot trust your molding or corners to be even. You MUST do this with a level, otherwise your wallpaper could wind up looking super wonky. 4) Now you are ready to start hanging! You want to start at the left upper corner of your wall. For me, this meant starting the first strip at the top left corner of our linen closet. 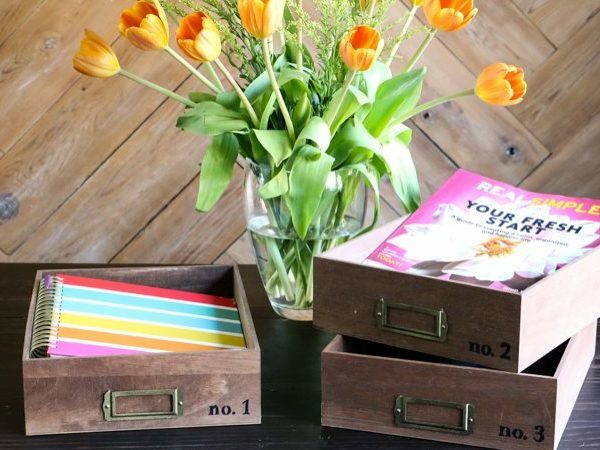 You want to peel the paper backing away from the top of the room just a few inches. Make sure you get the first piece lined up perfectly straight along the plumb vertical line you marked. The first piece is the most important, so take your time. The beauty of peel and stick wallpaper is that if you get it wrong the first time (like I did), you just peel it off and do it again. No big deal. 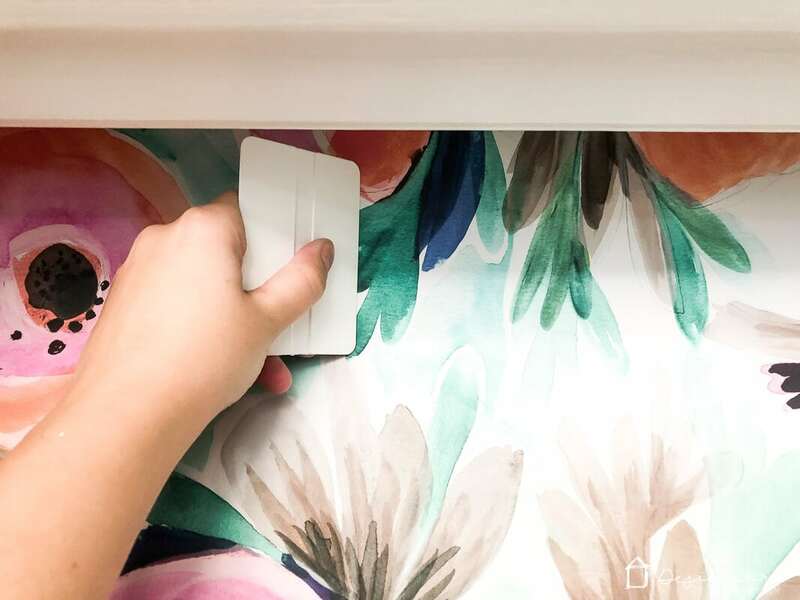 Use your squeegee to smooth the wallpaper into place and to get rid of any air bubbles by moving them to the edge of the wallpaper until they disappear. 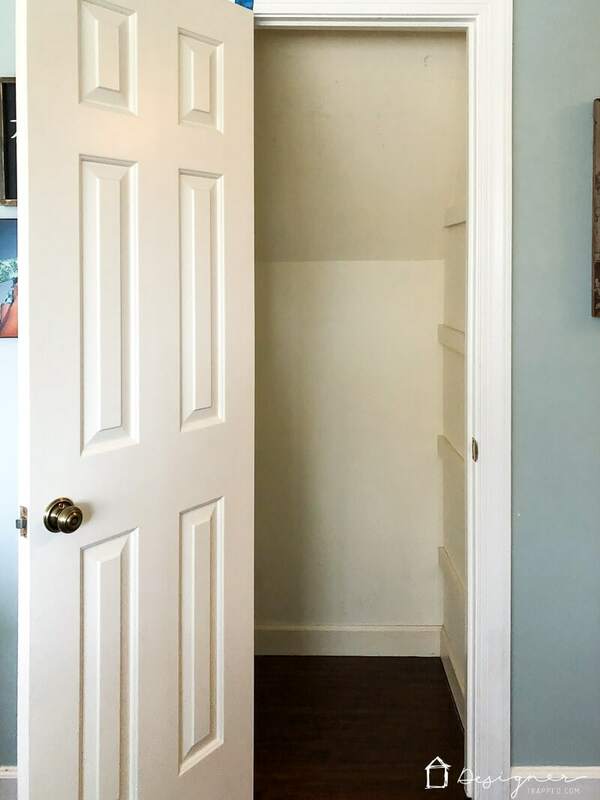 (You'll notice the ceiling in our linen closet is a little bit slanted which made it kind of tricky, but it wasn't bad). 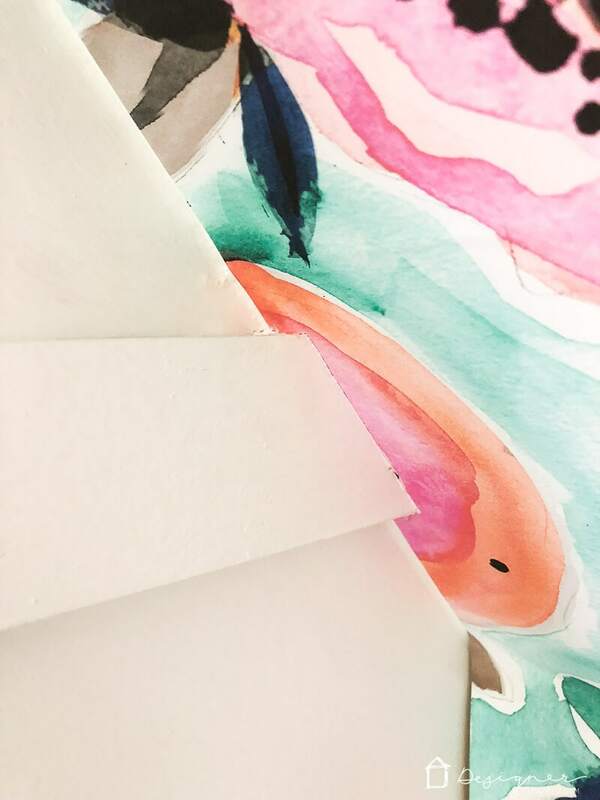 Continue to support the roll of paper and unpeel the backing 5 to 10 inches at a time as you work your way down the wall. Continue using your squeegee to smooth the wallpaper as you go. 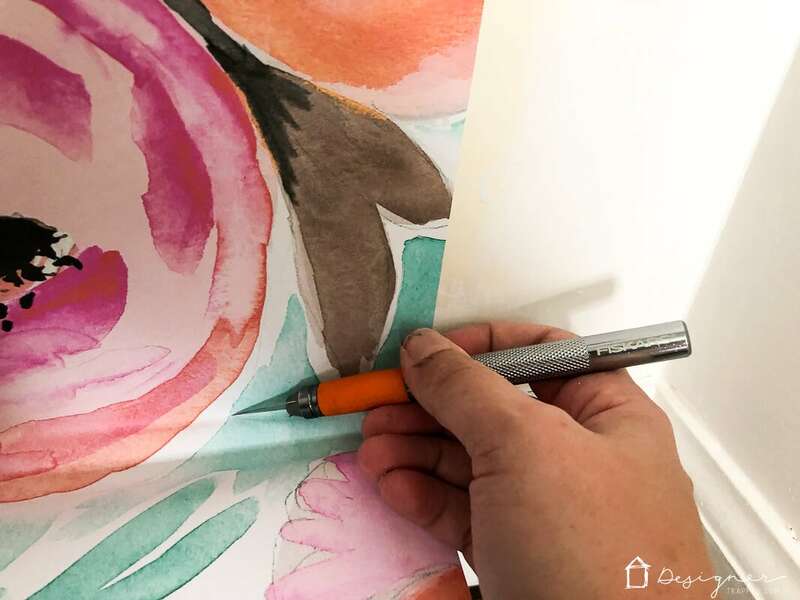 When you need to apply the wallpaper around trim or other obstacles, use your sharp knife to make a few relief cuts in towards the molding and smooth the wallpaper into the area. Then trim off any excess paper. I had to do this around the brackets that support the shelves in our linen closet. I was a bit worried about it, but it was super easy. Once you finish your first vertical run of wallpaper, use your knife to trim the excess wallpaper from the bottom. 5) Now you need to repeat the process for any other vertical runs until your entire wall is covered. Be sure you read your particular brand's instructions regarding whether or not you need to overlap the pieces at all! For my wallpaper, I needed to overlap the strips by 3/4 of an inch for the repeat to match up perfectly. Since I had a very small area left to cover, I pre-cut a strip that was about an inch than the area I needed to cover. I repeated the steps above and then trimmed the excess wallpaper from the edge and the bottom. Again, I was a tad nervous about it, but it was incredibly easy. 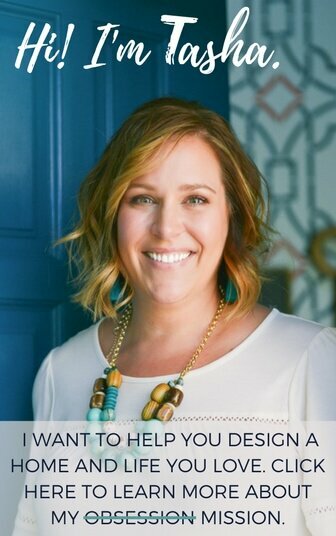 Before you head out be sure to check out my other popular posts AND grab my free guide on 5 interior design mistakes you don't even know you are making.